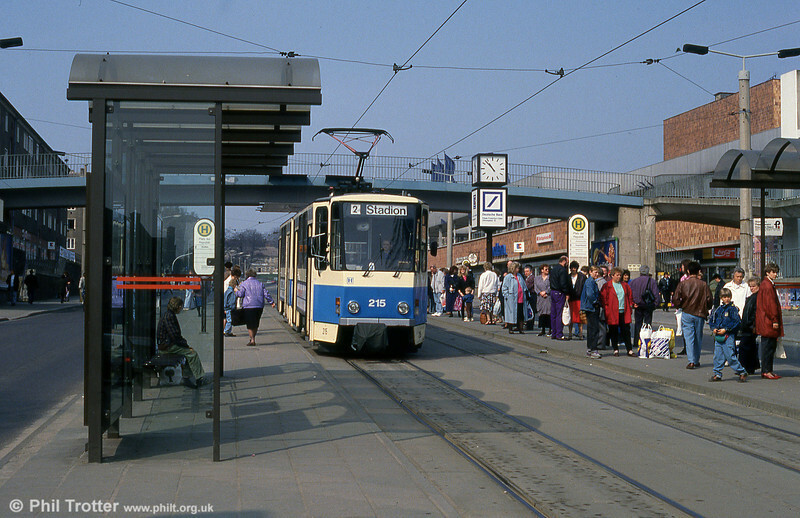 Trams in the 'other' Frankfurt - Frankfurt an der Oder, which is towards the Polish border - as seen on 17th April 1993. Frankfurt (Oder) Tatrat KT4D no. 215 at Platz der Republik.